Justin Jedlica on "Dr. Drew On Call"
RAJEE (aka Cement Woman), KEN DOLL, & THE LIVING BARBIE! Human Ken Doll Dating Human Barbie Doll? "Human Ken Doll" Looks Fit, But Is He? | Botched | E! Human Ken Doll Is the First to Get Back Implants | Botched | E! Human Ken Doll Does What for a Living? 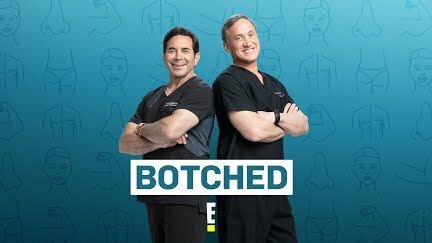 | Botched | E! Justin Jedlica risks it all to get a ripped back--has the model gone too far this time? See the extreme surgery on "Botched Presents: Perfect."